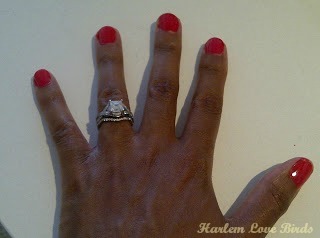 Harlem Lovebirds: Can My Toddler Let Me Have Jewelry? Can My Toddler Let Me Have Jewelry? I've never been much into jewelry (especially costume jewelry), but the few pieces of jewelry I do have hold a lot of sentimental value for me and unfortunately, a certain little person has kept me from wearing them . . . This ring went missing during our October trip to MD; it's not loose fitting so I know it didn't slip off, and I take my rings on both hands off together when I go to bed or shower and everything else was together but this. I'm praying it turns up like the bracelet my mom gave me did thanks to our honest wash and fold service who found it in our laundry bag. My sneaky Lil Love Bird has been known to swipe mine and Mr. Love Bird's rings before, but I learned my lesson earlier this year after finding my band behind the TV after an all day search (and Mr. Love Bird discovered his wedding band in her play kitchen's sink a couple months ago - I warned him!). I'm hoping it's in my parents' home and with all the distraction of Sandy earlier this month while we were there I didn't do a thorough search for it but plan to at Christmas. I can't afford to replace the ring above right now (and I ignorantly uninsured it a while ago), but this Christmas I really just want my other missing and broken jewelry repaired and/or replaced . . . I also have 2 stainless steel Fossil watches which need repairing - one that matches the one I got with my mom as birthday gifts while in college (we were born on the same day) and another just a few years ago as an engagement present. As a result I haven't worn a watch in over 2 years. Lastly, my wedding band has a super shallow setting, and I'm missing a couple diamonds due to daily life with a toddler which makes my band look "toothless" (if that makes sense!). Sadly, my jeweler recently changed ownership and will no longer replace my missing stones at no charge (I've had about 6 replaced since 2007). Part of me wants to have everything repaired/replaced then put away since Nia has broken quite a bit of my jewelry, but then I'm afraid I won't wear them until she's in elementary school. 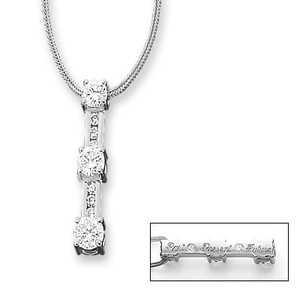 Do you have broken/missing jewelry? If you have kids how do you handle wearing jewelry?